Even back when comics were written primarily for kids, they remained full of sexual innuendo and the characters often indulged in vices; they drank, they smoked (if only pipes or cigars). Rarely did the creators bother to sanitize their fictional adult worlds to the degree seen here in T.H.U.N.D.E.R. 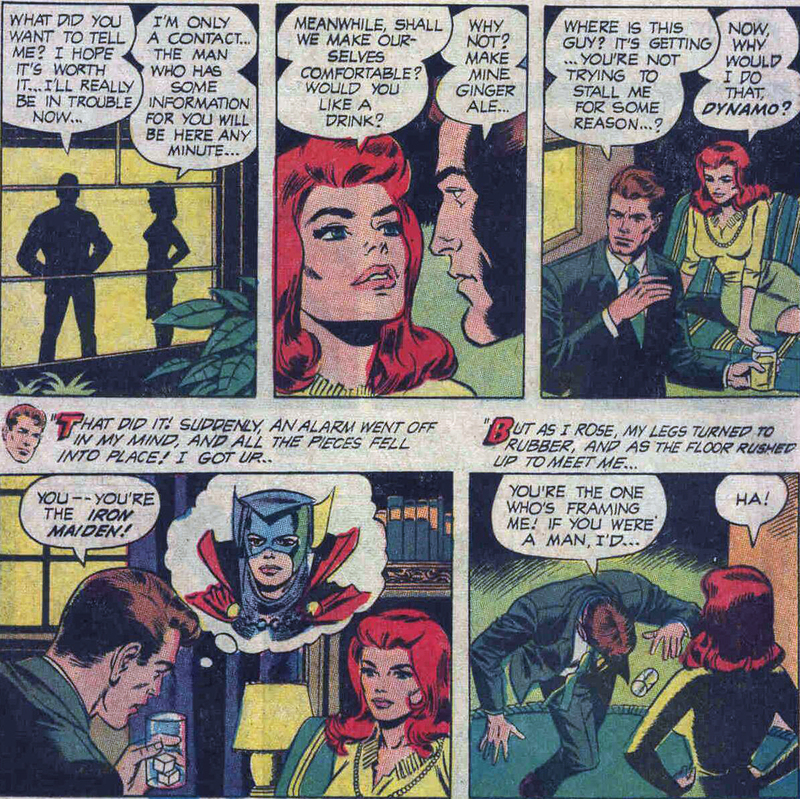 Agents #7, in which superhero Dynamo (working undercover), confronted by a stunning redhead with bedroom eyes, chooses ginger ale (!) as his drink of choice. And he can't even handle it, passing out right in front of her! I guess as a teetotaler I shouldn't throw stones all over my glass house, but then I'm not a womanizing superhero, either.